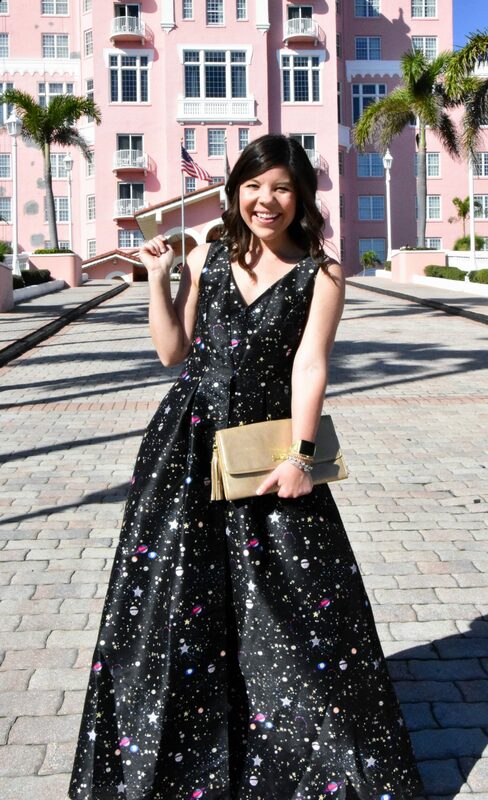 Spilling the beans on how to create a one-of-a-kind custom gown for under $100 with eshakti! You know that song “it’s going to be a brighttttttttt, sunshine day?” That song basically came to life when we were shooting these pics- so apologies in advance for the major squint factor I’ve got going on today! ha. On the bright side (see what I did there?!) 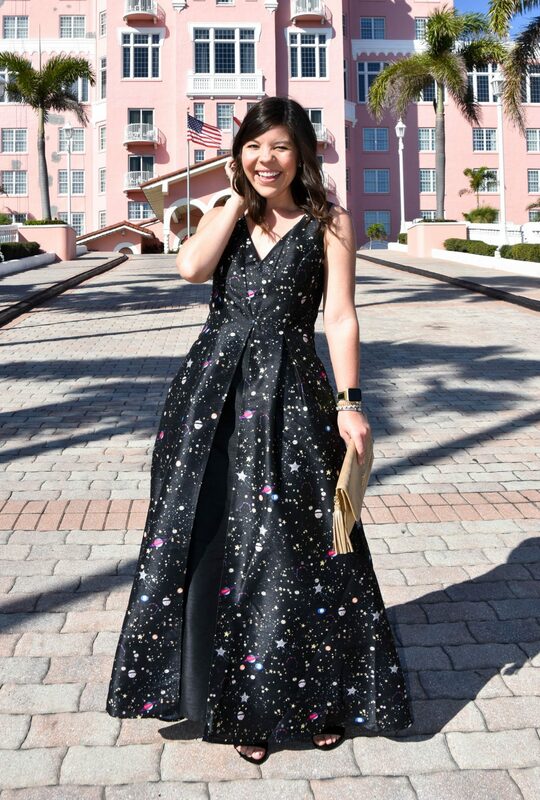 I have the most exciting new discover to share with you today- a website where you can make custom clothing (including this formal gown)- for under $100! Yep… it sounds too good to be true but it’s not and I’ve got all the details! As y’all know, I do a lot of work in my free time in the non-profit world, and because of that I usually have about 3-4 black tie galas a year to attend. 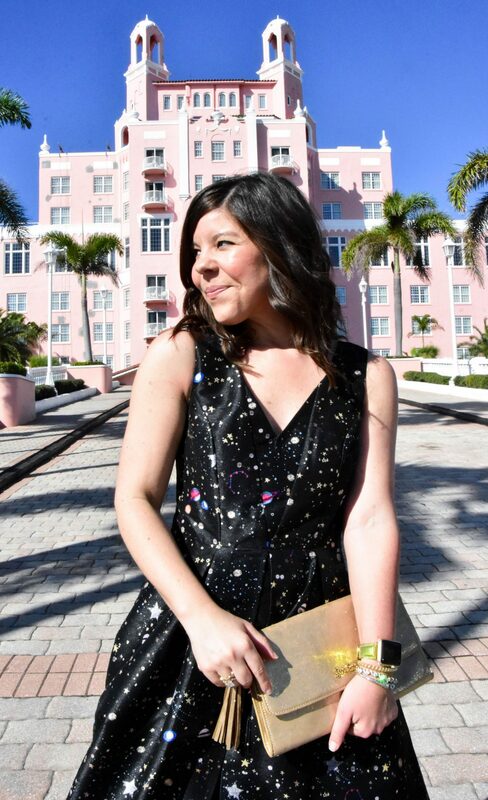 As much as I LOVE buying a new outfit, it is super hard for me to justify spending a couple hundred dollars on formal gowns that I’ll only wear 1-2 times (social circles tend to overlap at events in St Pete!) . I’ve had too many friends with sketch experiences from rental sites too, so that’s never been a #1 option for me either. But then I learned about eshakti and their gorgeous gown selection! Basically it works like this: eshakti has an extensive collection of dresses and gowns on their site (from casual to formal). Once you find a style that you like, you get to work customizing! On my particular dress, it started as a tea-length dress with a much higher neckline. 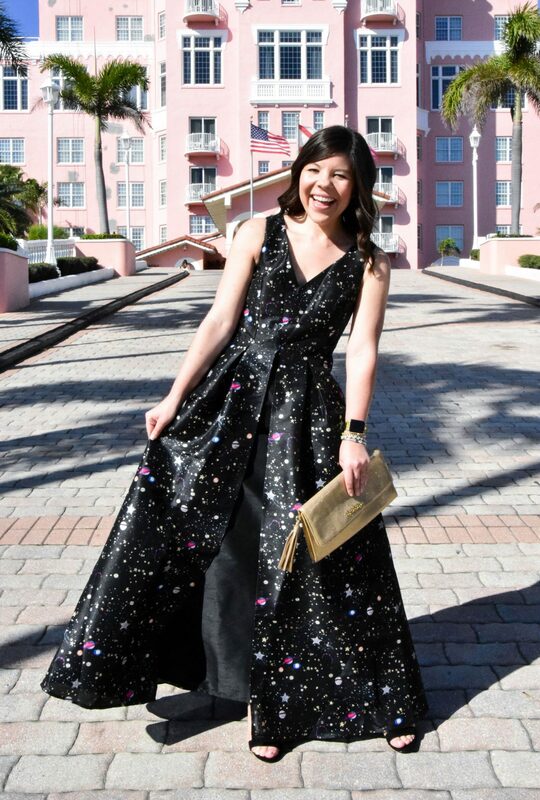 I made the dress floor-length (and put in my hight so that it was tailored to hit the floor on my 5’4 frame! ), dropped the neckline, and entered my sizing information so that the fit would be spot on. 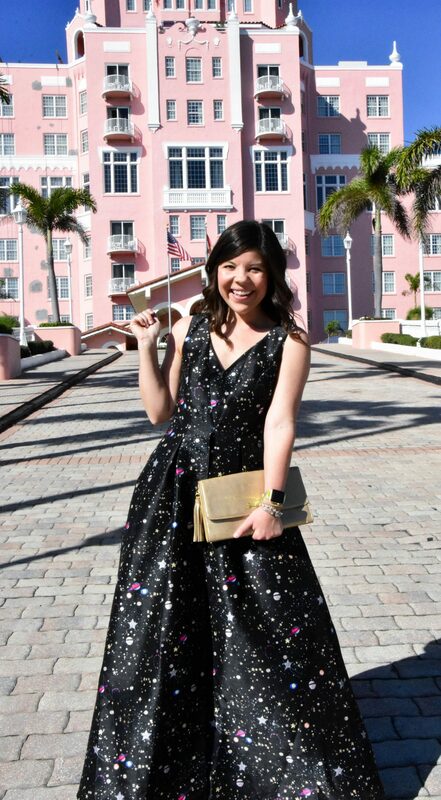 The dress shipped in about a week and when it arrived it was like it was tailor-made for me… because it was! Seriously y’all, every part of the dress fit perfectly- from the waist to the neckline to the length of the dress! 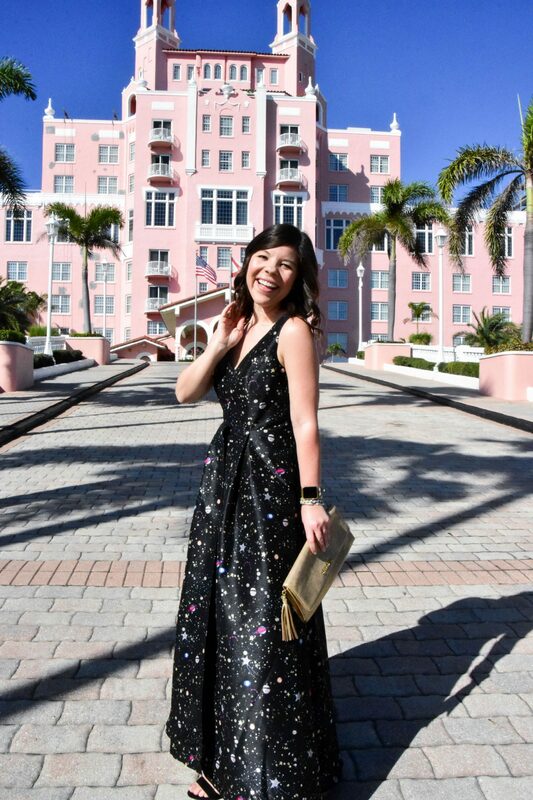 It was stunning and “wowed” at the Queen of Hearts Ball that I wore it to 🙂 I don’t know anywhere else you could get a custom, formal gown made for under $100 – eshakti is the real deal! So tell me: is this something that you’d try? 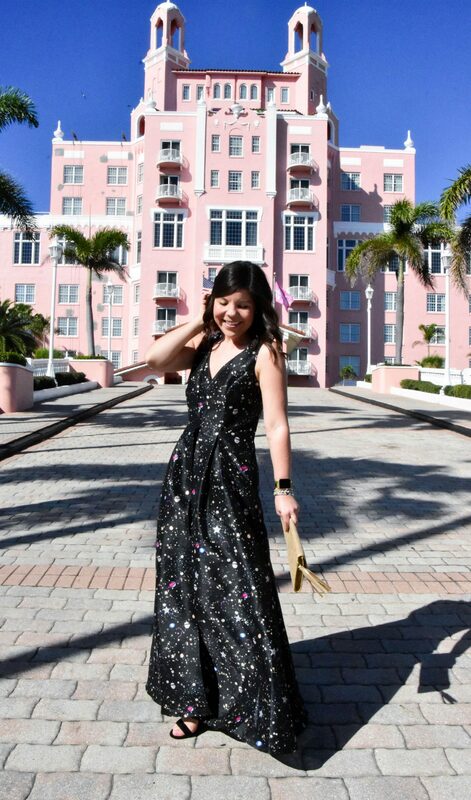 Have you ever made a custom dress before? Sound off in the comments below. Previous Post Happy First Day of Spring! Thank you so much! Yes the weather has been showing off lately! 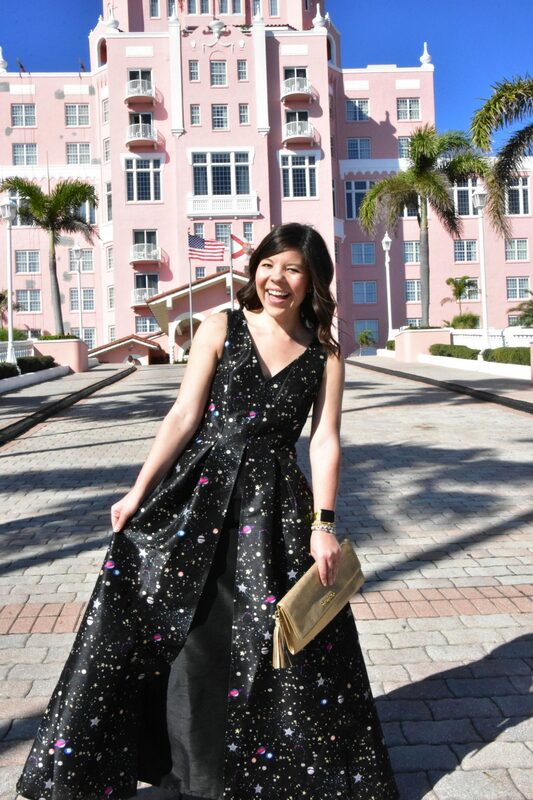 I have a dress from eShakti from a few years ago and love the concept of custom clothing! That dress looks amazing on you! 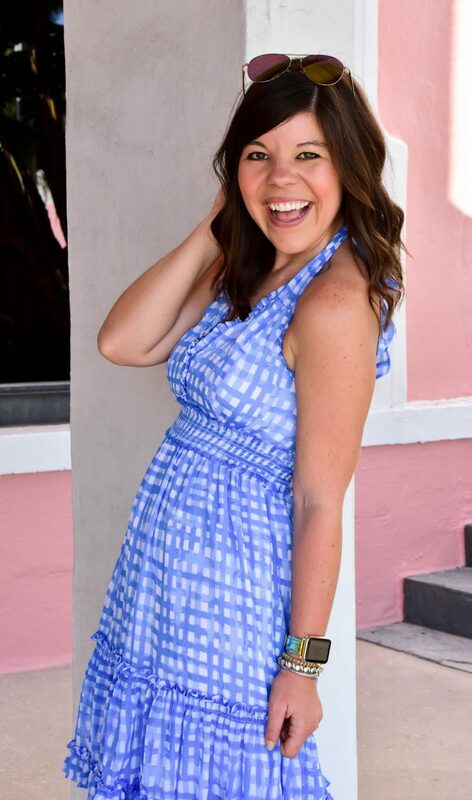 Love the fun print and what a great backdrop for your pics! Aren’t they the greatest!! It was amazing to have a piece that fit so perfectly out of the box! Eshakti is one of my favorite places to get dresses!! I love it because you can make dresses longer-something that can be hard to find in department stores. I actually just got a dress in the mail I want to show off on my blog soon! The star print was something I was immediately drawn to! So fun! I’m so glad you love them too! I think they offer something so unique! This is such a pretty a gown! I love the design and the colors! It fit you perfectly! That’s such a pretty dress on you dear! Love the print.